Genetic algorithms (GAs) share a common weakness with most other metaheuristics: Candidate solutions are in general revisited multiple times, lowering diversity and wasting precious CPU time. 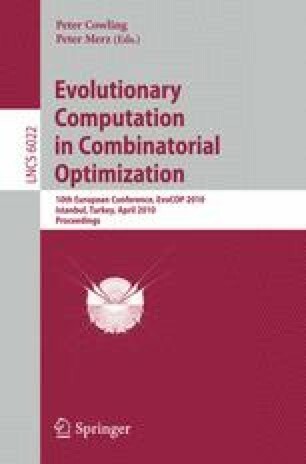 We propose a complete solution archive based on a special binary trie structure for GAs with binary representations that efficiently stores all evaluated solutions during the heuristic search. Solutions that would later be revisited are detected and effectively transformed into similar yet unconsidered candidate solutions. The archive’s relevant insert, find, and transform operations all run in time O(l) where l is the length of the solution representation. From a theoretical point of view, the archive turns the GA into a complete algorithm with a clear termination condition and bounded run time. Computational results are presented for Royal Road functions and NK landscapes, indicating the practical advantages.